Complexity of organizational priority, device management, security staffing issues, and more are exacerbating firewall management challenges. 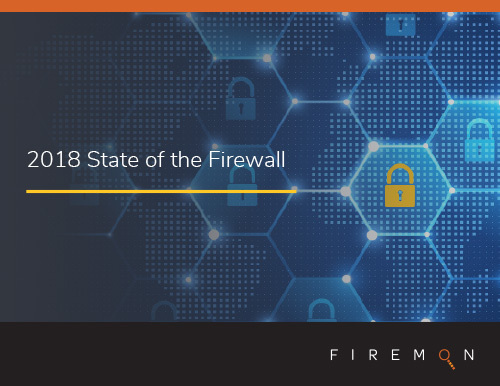 Firewalls remain critical to network security, despite the question “Are firewalls still relevant to security?” being asked on other surveys as far back as 2010. While firewalls remain relevant, shifts in organizational priority, device management, security staffing issues, and more do exacerbate pre-existing challenges in firewall management. 94% of respondents report that firewalls are as critical as always or more critical than ever. 64% of respondents reporting that they still deal with manual change management processes and that "sprawling firewall complexity" is a great challenge. 53% of respondents have already partially or fully adopted public or hybrid cloud. Many respondents are considering implementation of technologies such as virtualization (54%), software-defined networks (41%), and microsegmentation (29%). The full report walks through budget needs, staffing concerns, five-year firewall strategies, and more about how network security professionals at best-in-class businesses of all sizes see the evolution of firewalls. This may seem familiar: thousands of rule changes create overly complex rulebases and firewall misconfigurations. Some call this the “roach motel.” Rules check in…but they don’t check out. When you add in exposures from 20-year old rulebases, your risks explode. FireMon is used by enterprises around the world to improve their firewall rules, because only FireMon has the powerful fusion of vulnerability management, continuous compliance and orchestration.